When people think about archaeology, they usually think of digging and processing artifacts. That’s part of it, but the Colchester Archaeological Research Team (CART) is more than field and lab. CART is a part of the Fairfax County Park Authority’s Cultural Resource Management and Protection Branch, and it’s CART that is investigating Old Colchester Park and Preserve, a marvelous piece of history on Mason Neck in southern Fairfax County. Marion Constante is at the forefront of that investigation, and her tool is a geographic information system (GIS), a technology that combines hardware, software and data to make sense out of geographic information. GIS helps make maps and charts and reports and helps understand the relationships of the things in those maps and charts. The county’s Virtual Fairfax map is an example. Since joining the CART team, Marion has taken our GIS from a tool used to record and analyze to a whole new level. We now have the ability to see the historic town of Colchester from a perspective that has not existed for over 200 years. The project is entirely data-based and without conjecture. 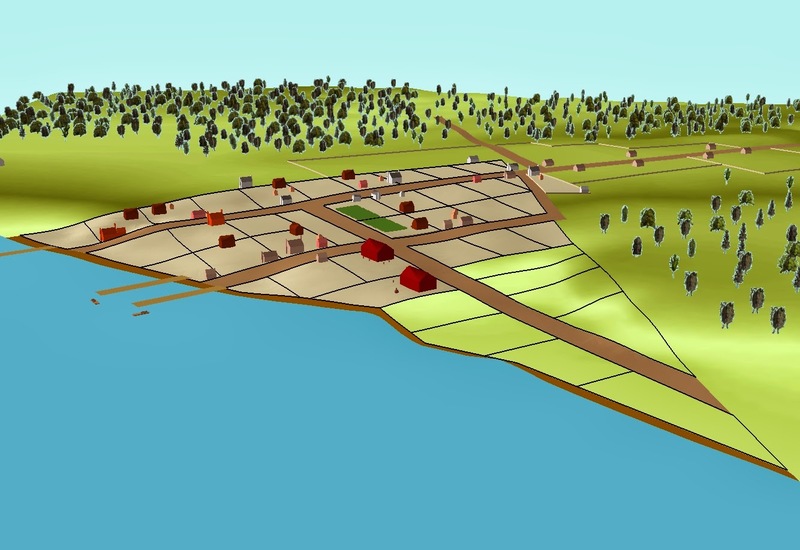 Marion integrated historic and archaeological data to create “Virtual Colchester,” for which she won the “Best Cartographic Product” award from the Fairfax County GIS and Mapping Services Branch in November 2013. Perhaps of equal importance was her application of a programming language to create 3D projections. Marion wrote a script – a tool to automate processes and tasks – to more efficiently model 3D structures found at Colchester. Spatial data with information about the size and shape of the buildings was linked with the necessary tools to create a model. 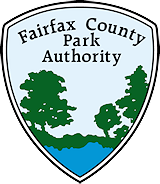 We can apply this script to archaeological and historical data from other parks, and the things we learn will make the Park Authority better at teaching visitors about the changes in Fairfax County’s landscape across time. The next step will be equally, if not more, challenging: to create environments for all periods of human occupation at Old Colchester back to the Early Archaic Period, approximately 10,000 years ago. Marion has taken the information from a database about where artifacts were found at Old Colchester and written scripts that can be used with other scripts to create maps that show where things were found. These artifact distribution maps (similar to the one shown below) help us see where concentrations of artifacts were found, and that gives us a visual aid in understanding what people were doing at the site. The brighter colors on the map are areas of higher artifacts concentrations. Marion can create these “heat maps” to show the distribution of any artifact type or time period, and that helps us target areas that are of the greatest research value and ability to teach us about Fairfax County’s rich cultural heritage. The Friends of Fairfax Archaeology and Cultural Resources are hosting a free open house at Old Colchester Park on Saturday, May 3, 2014, from 9:30 a.m. to 2:30 p.m. Visitors will be able to tour the park and see Native American and Colonial artifacts from the site. Tours of the Town of Old Colchester are scheduled for 10 a.m. and 12 noon. A one-hour hiking tour of the park begins at 1 p.m. Old Colchester Park is at 10605 Furnace Road in Lorton, VA. There will be a shuttle bus from the parking lot at Mason Neck West Park, 10418 Old Colchester Road in Lorton. Information at 703-534-3881. Author Megan Veness is the Field Director of the Colchester Archaeological Research Team, and co-author Marion Constante is a GIS Specialist. This entry was posted in Uncategorized and tagged Archaeology, CART, Friends of Fairfax Archaeology, Old Colchester Park and Preserve on April 29, 2014 by Fairfax County Park Authority.